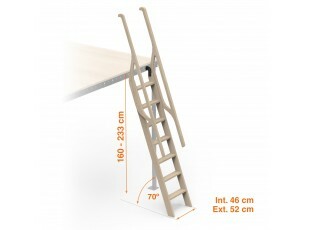 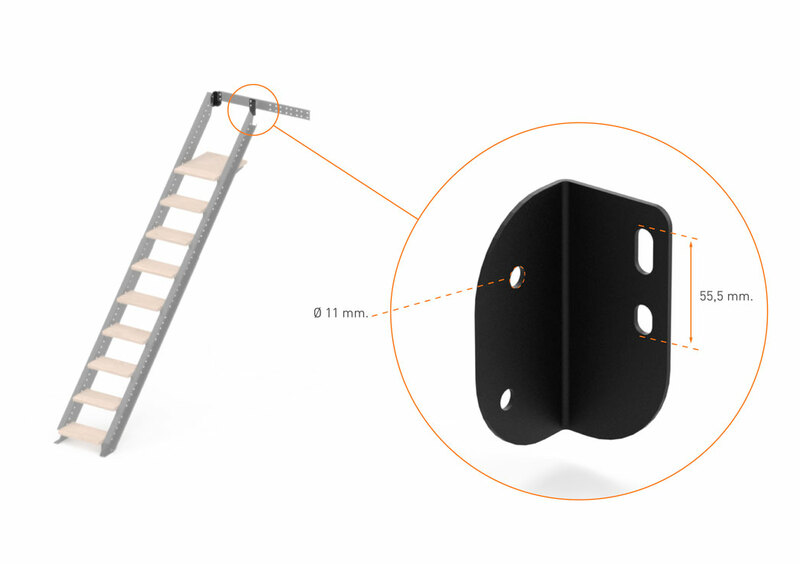 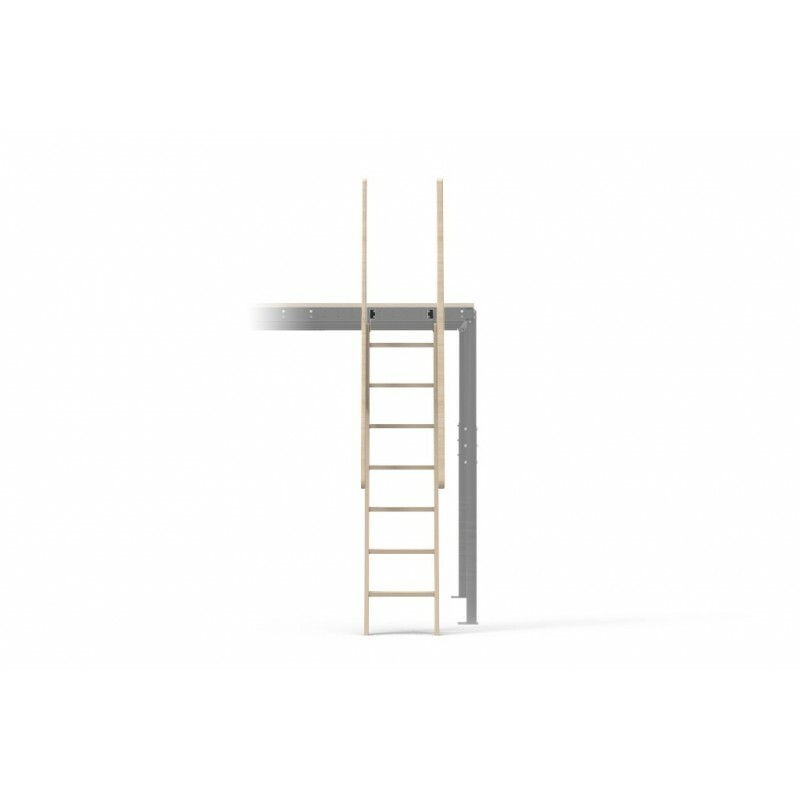 The Boat ladder- S is made of high quality pine plywood with a natural finishing. 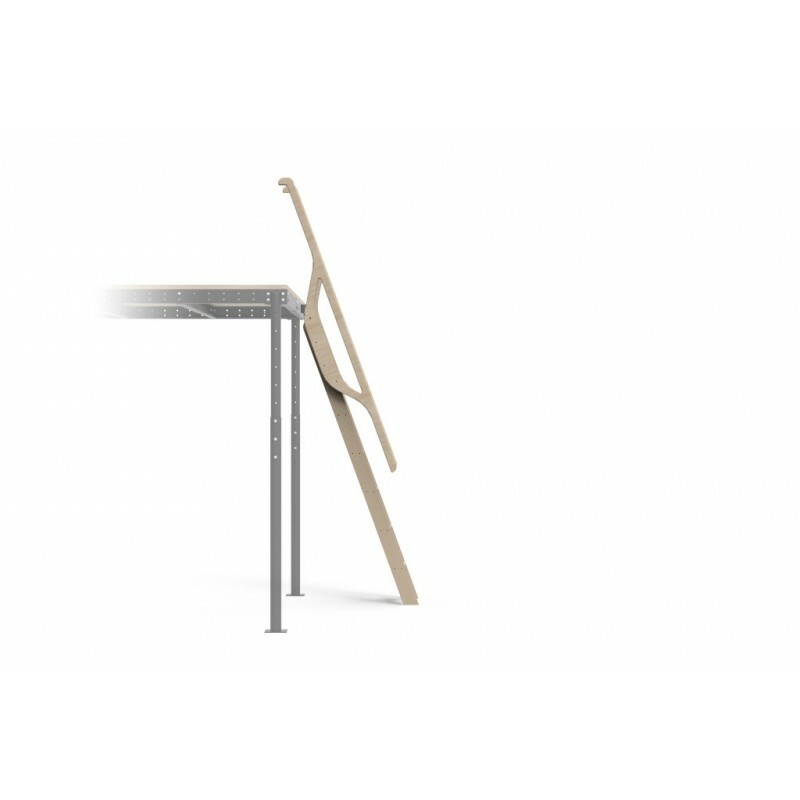 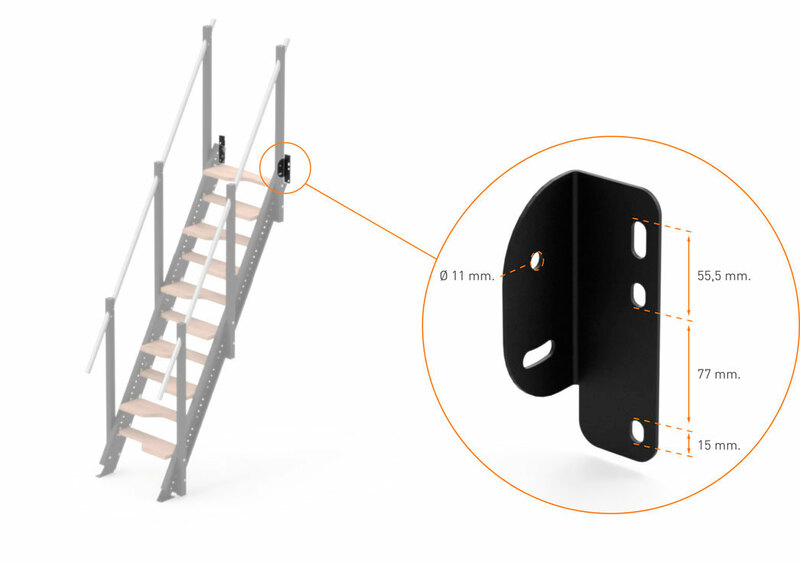 It has an inclination of 70º and it includes a handrail which ease the ascent and descent. 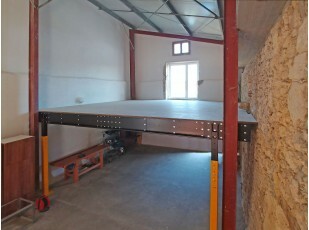 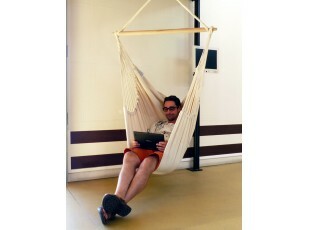 It can be installed at any small structure. 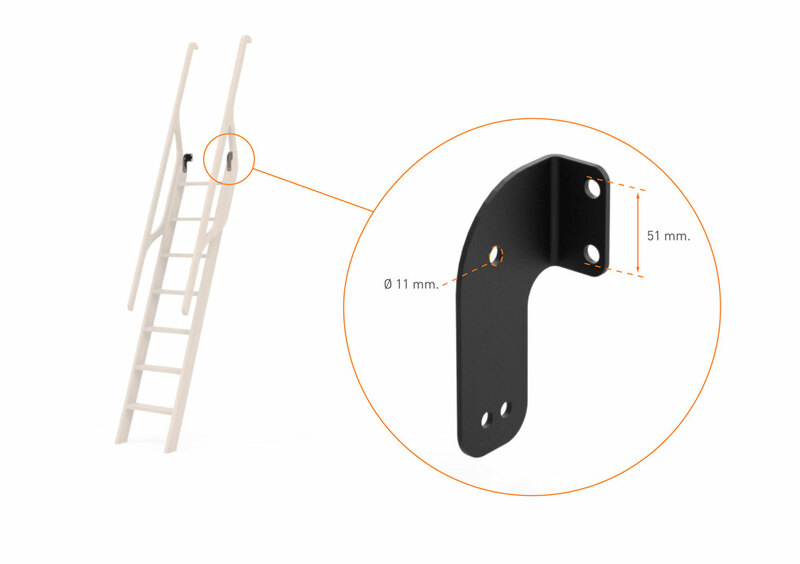 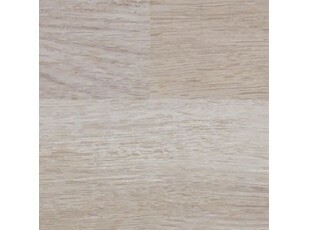 It can also be adapted easily at any height, cutting its stringers at the marks disposed in the same ones. 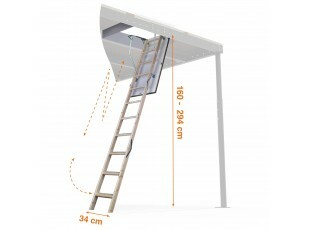 It can be located in any of the four sides of the mezzanine and even inside the structure. 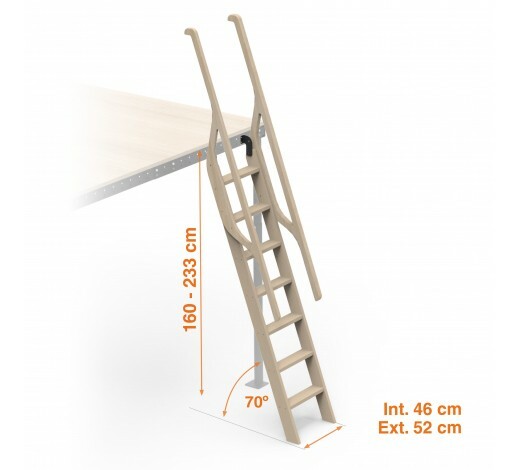 Incline and shadow 70º / The shadow of the stairs is 37% of the height. 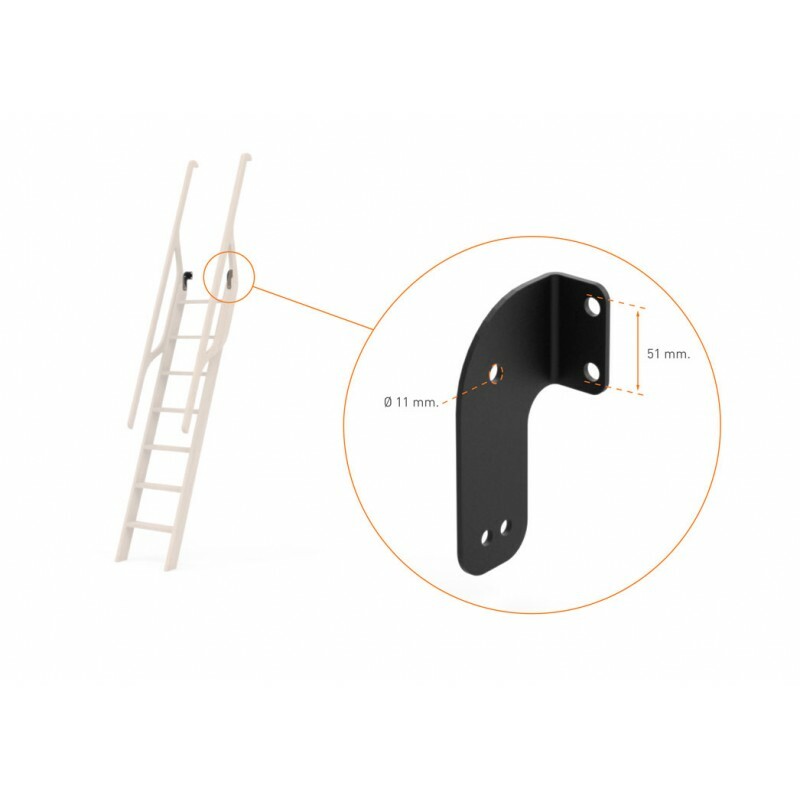 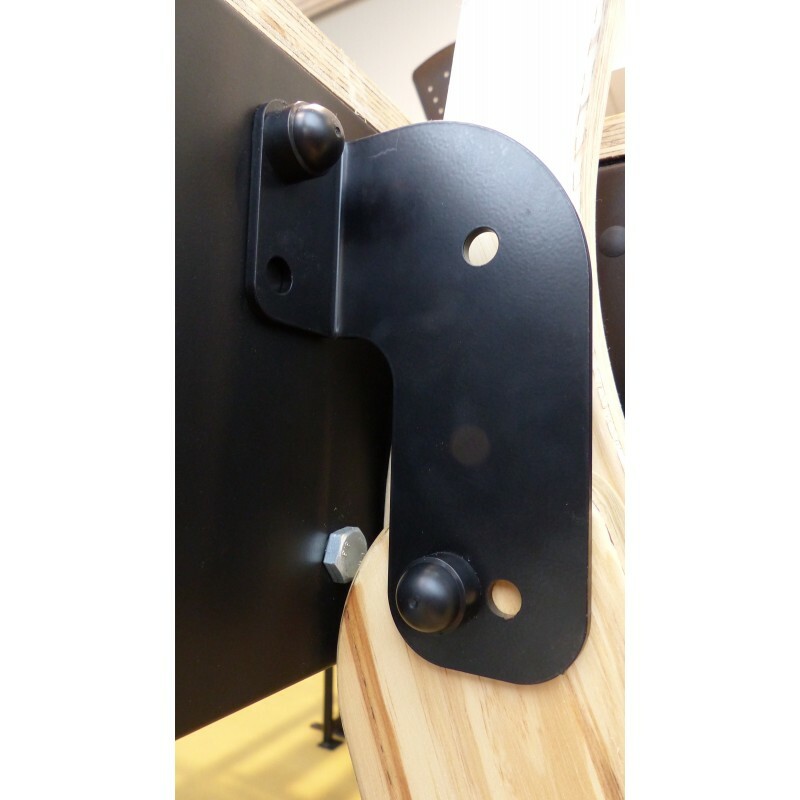 the boat ladder is ideal to T8 structure. 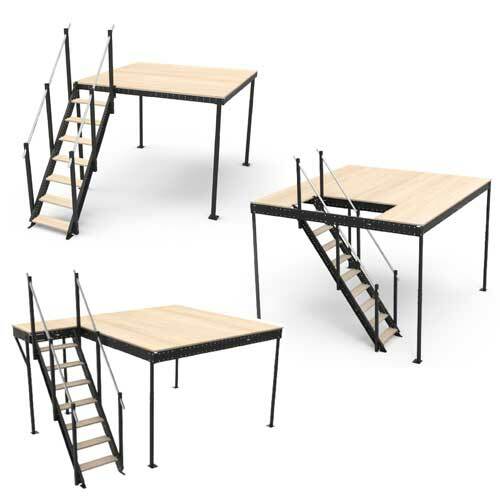 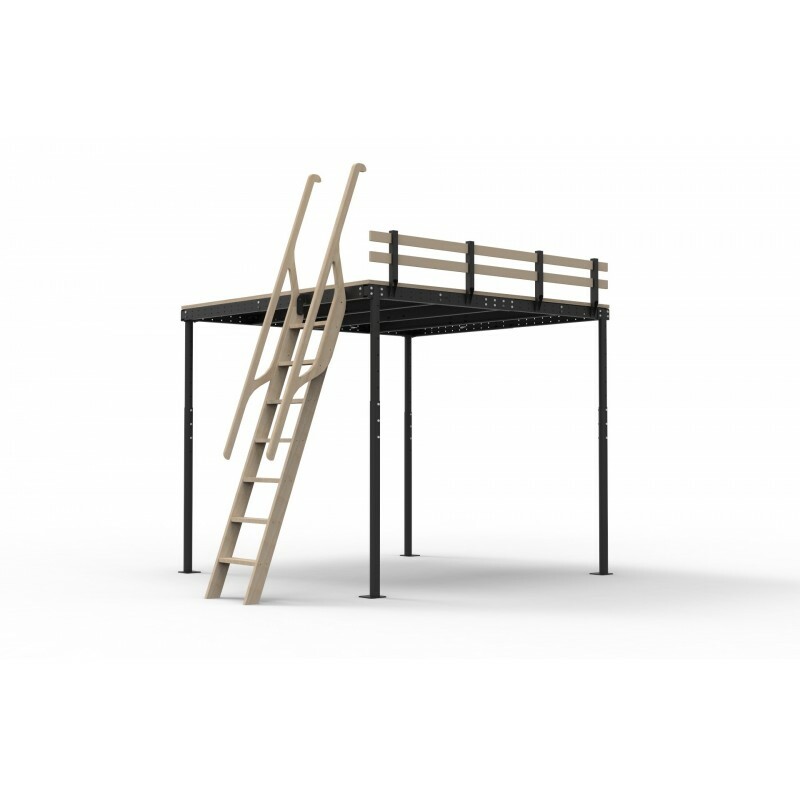 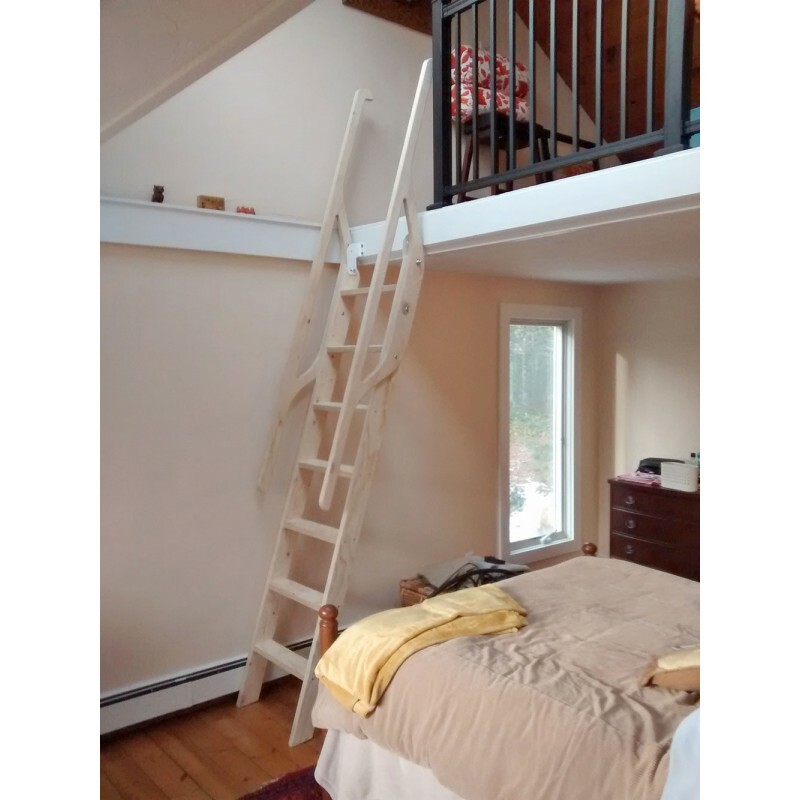 The way of assembly is similar to the SW-T8 Wooden Ladder.